According to a 2016 survey by the AAA Foundation for Traffic Safety, American drivers spend an average of more than 17,600 minutes behind the wheel of a car every year. That’s an nearly 294 hours without even accounting for time spent as a passenger. Needless to say, from moving between work, appointments, school, the grocery store, vacation, and everything else in between, Americans spend a lot of time in their cars. Drivers don’t just spend a lot of time in their cars, they spend a lot of time on their cars too—from initially deciding on a make, model, and color, to keeping up with all necessary maintenance and inspection requirements. Luckily for drivers, just as technology has evolved the makeup of an automobile—making cars safer, faster, more efficient, and overall ‘smarter’—self-service kiosk technology is quickly transforming the overall automobile ownership experience. For most drivers, the car buying process is long, tedious, and often filled with waiting—from conducting research, to selecting a make and model that fit their needs and budget, and spending time at the dealership, drivers invest a lot of their time in their cars from the start. 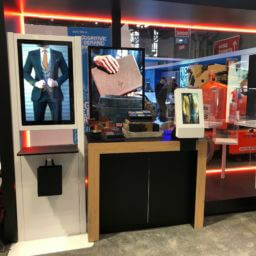 Designed to efficiently guide drivers through the purchasing process, automotive retail kiosks are finding their way into dealerships across the country. 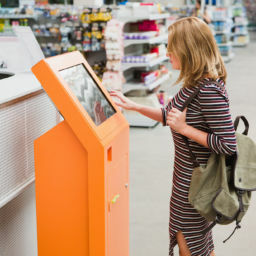 These unique self-service kiosks allow drivers to expedite the process by entering their personal information, budget, and other relevant details once they first arrive at the dealership. The kiosk then gives drivers the option to browse both loan information and the dealership’s inventory—it’s straightforward, transparent, and convenient. By diverting the more menial administrative tasks of the car buying process to a digital kiosk, dealerships are able to provide a personalized buying experience to the driver they’re helping at that time, while also ensuring that their needs are met in a timely manner. While taking a car in for maintenance or repairs typically doesn’t require nearly the time, research, or financial commitment of purchasing one, it often poses a logistical challenge for many drivers—especially those who work a traditional 8–5 job. And while most drivers are familiar with the traditional key drop box concept, found at many dealerships and auto shops, digital key drop kiosks take that technology to the next level. Digital key drop kiosks allow drivers to enter their vehicle information, select their service, and deposit their keys, both within and outside of business hours. Also, unlike traditional key drop boxes, drivers are able to utilize a digital key drop kiosk to pick-up their keys and car and pay for their services following completion—effectively eliminating long waits and resolving time constraint conflicts. While not every county and state has the same regulations when it comes to auto emissions, many require that drivers get theirs tested every year. 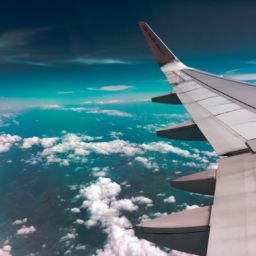 Similarly to those needing to take their cars in for maintenance or repairs, visiting a service station for an emissions test during business hours can sometimes pose logistical difficulties for drivers. Self-service emissions testing kiosks make it simple. With the ability to be conveniently, yet securely, placed in outdoor locations, emissions testing kiosks enable drivers to complete the test any day of the week at any time of the day. Drivers simply scan their emissions notice, make their payment, remove the testing device, and plug it into their car. Following completion of the test, they simply retrieve a receipt indicating pass or fail. It’s simple and convenient and drivers can be on their way in a matter of minutes. Regardless of where someone is driving their car, it’s inevitable that they’ll have to park when they arrive. While the act of parking itself is typically quite simple, drivers who have lost their car in a parking garage or driven all the way around a parking lot only to find that all of the spaces were full can attest to the fact that while relatively simple, it can also be time consuming. While parking typically doesn’t pose as much of an issue in smaller towns as it tends to do in larger cities, parking kiosks are changing the way drivers view parking. From accepting payment and printing receipts, to reserving parking spaces, indicating open spaces, or even helping drivers remember where they parked when it’s time to return to their car, parking kiosks have simplified the parking experience all around. As self-service technology has continued to evolve, digital kiosks have made drivers’ lives easier. From purchase to maintenance, testing, and parking— self-service technology is increasing simplicity and decreasing drivers’ transaction times across the board. 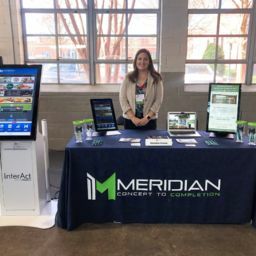 For more information on Meridian’s automotive retail solutions, please visit https://www.meridiankiosks.com/industries/automotive-dealership-kiosk-solutions/.